Anne Sommariva at Mountain Flower Farm grows plenty of produce to go along with her flowers. Anne Sommariva at Mountain Flower Farm grows pesticide-free asparagus, cucumbers, summer squash, fresh herbs, sweet corn, melons, butternut squash, celery root, gourds, and plenty of flowers. You can find Anne’s flowers and produce at Santa Fe Farmers’ Market. Anne and her husband Bruno purchased their land in remote Santa Fe County back in 1990. 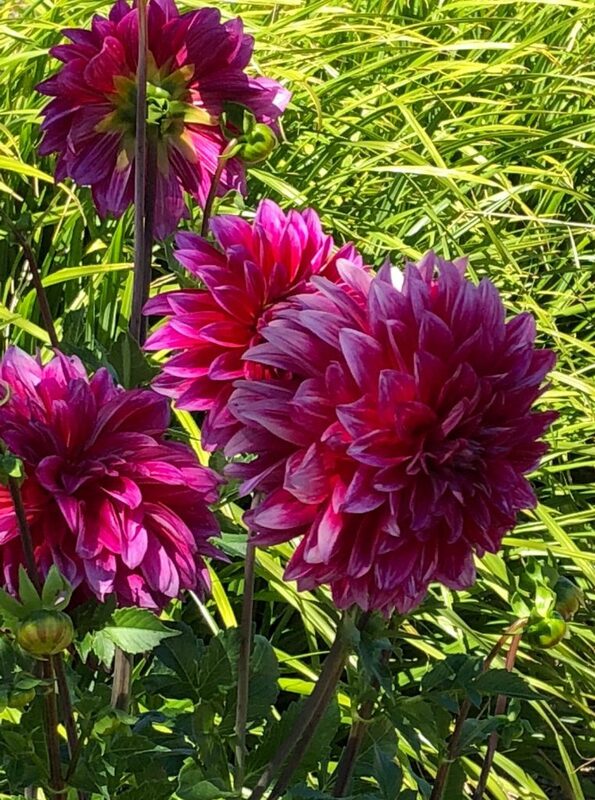 Anne, armed with a horticulture degree and work experience from Plants of the Southwest and other greenhouses, had a natural desire to garden on their acreage and provide fresh food for her family. 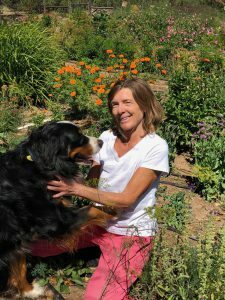 Soon, friends wanted a share of the vegetables and flowers from her large garden, and Anne’s garden eventually turned into Mountain Flower Farm where her crops are pesticide-free and drip-irrigated. Anne started selling her produce and flowers at the Santa Fe Farmers’ Market 25 years ago. Her booth is full of unusual gourds and fresh produce, but it is the colorful flower displays and marigold garlands that initially draw customers in. Her “keep it simple” motto works to satisfy both her customers’ need for delicious produce and fresh flowers, and Anne’s need to work outdoors, be physically active, and learn about the plants she grows. The freedom of working for herself, growing crops from seed, and selling them direct to customers at market are the things Anne loves the most about her farm. When Anne isn’t farming you can find her reading, hiking in the mountains, walking her dog, Cana, or, fulfilling her “need for speed” with downhill skiing or other pursuits. Produce and flowers grown at Mountain Flower Farm are always pesticide-free and drip-irrigated. Anne started selling her produce and flowers at the Santa Fe Farmers’ Market 25 years ago. .